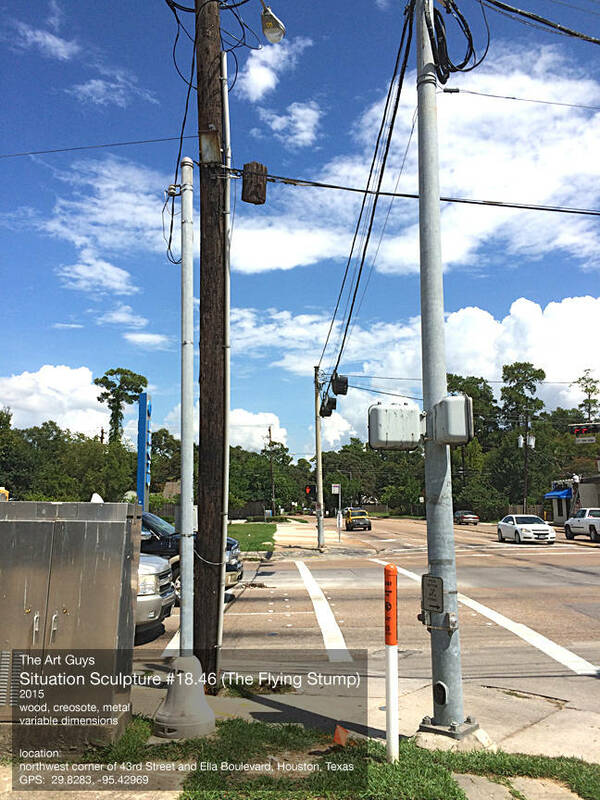 "The Flying Stump" is the latest in a series of Situation Sculptures by The Art Guys. 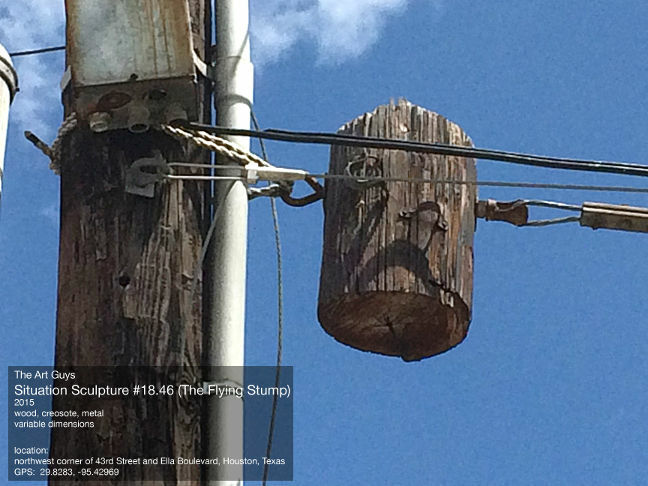 As shown in the documentation video, the stump doesn't fly along its guyline a la Peter Pan, but rather just sort of hangs there, halfway up the side of a wooden telephone pole. Also, it's not really a stump per se but a cross section of another pole, with some rusted metal cleats still attached. 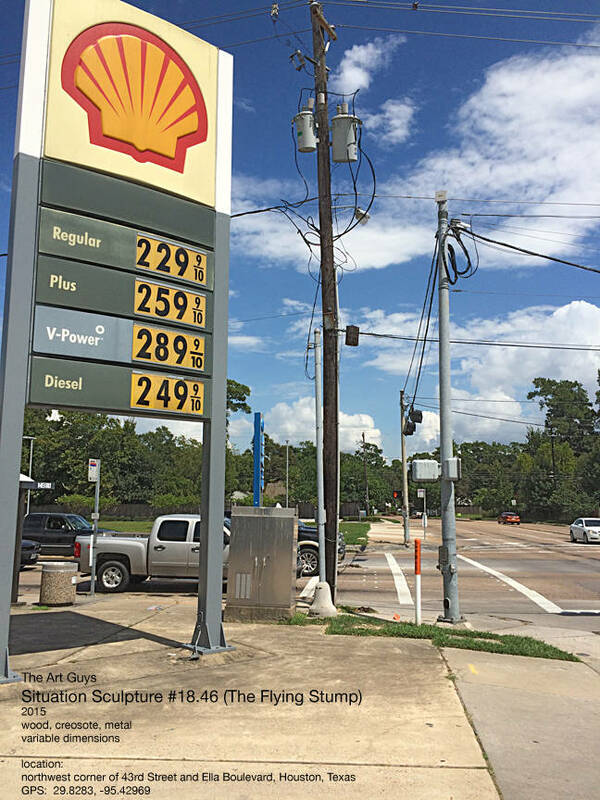 This work of situational art will not be noticed by 99% of the people walking or speeding through this forlorn intersection north of Houston's Interstate 610 Loop, and that's part of the beauty of this simple, absurdist gesture. It's not known if permits had to be obtained for this work. It appears the support wire for the stump had to be strung to a pole across the street -- the hoisting activity might have attracted some attention while it was going on. Otherwise, this is about as understated as it gets. You have some documentation telling what and where this is.